Tata Motors used the H5X concept to full effect and spawned the Harrier and in the same manner. 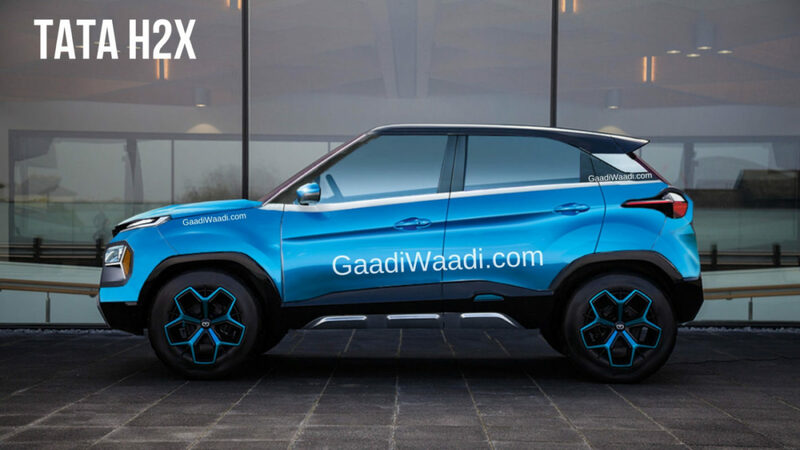 The newly unveiled H2X will give birth to a micro SUV whose production version will debut at the 2020 Auto Expo before going on sale during the course of the year. 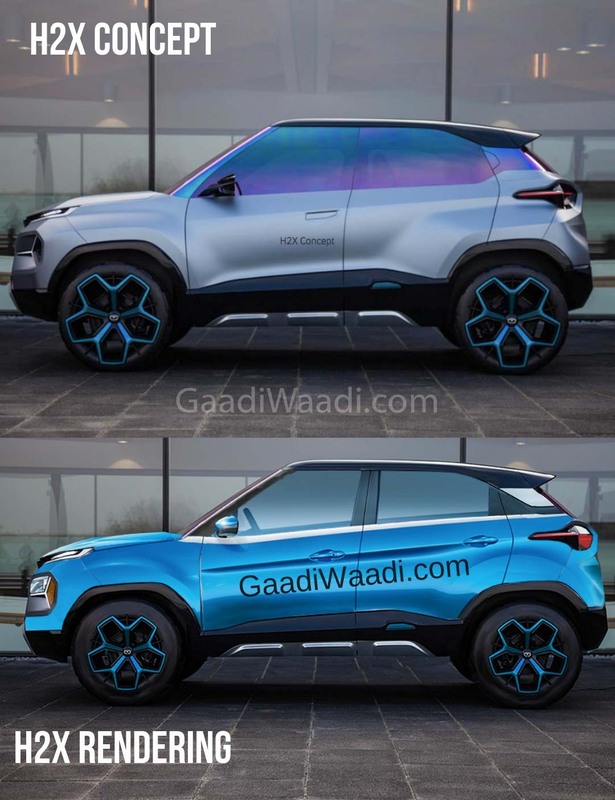 The micro SUV codenamed X445 will compete against Maruti Ignis, Mahindra KUV100 and Ford Freestyle before Maruti Suzuki’s direct rival in the form of Concept Future S based production enter the domestic scenes. It has been confirmed that 70 to 80 percent of the H2X conceptual design will make its way into production. With that said, it is apparent to see some of the unconventional elements on the concept that will never like the glass roof panel, fighter jet inspired steering wheel, dual 10.2-inch display screens, rear AC vents mounted on the back of the seat, unique AC vents and pillar less side profile. 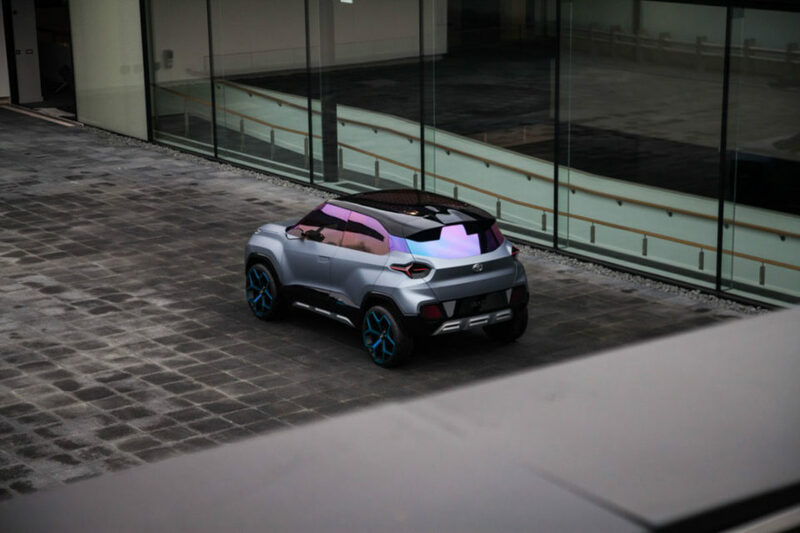 Our rendering gives you a sporty take on the road-going H2X concept and that’s the reason why the concept’s funky wheels have been kept intact in a slightly toned down manner. The micro SUV that could be christened Hornbill will be positioned below the Nexon but is based on the modular and scalable ALFA (Agile Light Flexible Advanced) architecture as the upcoming Altroz. However, compared to the Altroz premium hatchback, the production H2X will have 51 mm shorter wheelbase. Our digital imagined Hornbill gets conventional door handles instead of pillar-mounted openers in the concept and has high raising beltline just as the Nexon with white ceramic finish. It is complemented by the thick B-pillars, which have been black painted just as the roof to give a dual-tone floating appearance. The third model to adorn the Impact Design 2.0 philosophy will have a slender signature Humanity Line and LED DRLs sitting atop the headlamps and the tri-arrow pattern will be toned down for a more conventional appeal as in the Harrier to accommodate fog lamp cluster. The upright front fascia and the muscular squared wheel arches and finishes are likely to be carried forward into the production model. It will be powered by a 1.2-litre turbocharged petrol engine as the Altroz making around 100 PS and 140 Nm. Both six-speed manual and six-speed AMT transmissions are expected to be on offer upon arrival next year.